Ok, so straight off the bat, that title doesn’t quite do it. What I should have said is “The 50 Greatest Artists Whose Solo Careers Rival the Success of the Groups That Brought Them To Prominence”, but frankly, that doesn’t have quite the same ring to it (nor would it fit in the allotted space.) In short, you won’t being seeing the likes of Elvis or Dylan in the following rankings; these artists all had to begin their careers as a member of a well-known group before going solo. Without further adieu, here are the 50 greatest encore acts since “Freebird”. Michael Jackson (Jackson 5) It seems trite to just come right out and say that Michael Jackson was the King of Pop, but heck, if the shoe fits… Ingratiating himself into the hearts of millions at the ripe old age of six, Michael would maintain his reign atop the entertainment universe for nearly half a century thereafter. Eric Clapton (The Yardbirds, John Mayall and the Bluesbreakers, Derek and the Dominos, Cream, Blind Faith) “Clapton is God.” So proclaimed a graffiti scrawled wall in Islington, London in 1967, and when it comes to guitar mastery, Clapton is indeed divine. 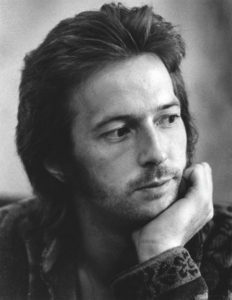 Eric Clapton was first introduced to the world playing for The Yardbirds, and from there he would never look back, hopping from one legendary group to the next before embarking on an independent career in the 1970s. For all his efforts, Clapton would go on to achieve the distinction of being the only musician to be inducted into the Rock and Roll Hall of Fame three times. James Brown (The Famous Flames) Long overlooked as the mere backing group to this legendary showman, the Rock and Rock Hall of Fame finally came to its senses in 2012, taking the rare step to retroactively induct this vocal outfit into their ranks. Though it was clearly Brown that would come to put the “famous” in Famous Flames, way back in 1953 he was just another one of the guys with dreams of making the big time. Brown in fact joined the group as a drummer before finding his way to the front of the stage, where he would remain for nearly fifty years until his death in 2006. 2Pac (Digital Underground) Initially getting his foot in the door as a roadie and backup “humpty” dancer for the Digital Underground, Tupac finally got a shot on the mic in “Same Song,” appearing on the soundtrack to Dan Aykroyd’s overwhelmingly horrific 1991 film Nothing But Trouble. The late MC stuck around for one more album before dropping the now classic 2Pacalypse Now and the rest is history. Paul Simon (Simon and Garfunkel) Great as they were together, it was always clear that Art was the Robin to Simon’s Batman. So it went that Simon eventually had to go to do his own thing, penning such masterpieces as There Goes Rhymin’ Simon and Graceland in the years that followed. A true songwriting genius, he continues to enchant audiences from Central Park to Wembley. Paul McCartney (The Beatles) Ok so yea, if we’re strictly restricting this list to artists whose solo careers outshone or at least rivaled the bands that brought them to prominence, it’s pretty much impossible to include any Beatle. The Beatles were, and remain, the most successful, influential and popular band of all time, so essentially that bar could not possibly be any higher to surpass. However, for Paul, John, and George, we just have to make some exceptions. True masters of their craft, it proved only natural that they would carry that brilliance over to their subsequent solo careers, and did they ever. Not even counting his work with Wings, Paul released a ridiculous 20 gold and platinum albums. Were it not for the fact that he was always in the shadow of his Fab Four days, it would be hard to deny that McCartney rivals only MJ for the most successful solo artist of all time. John Lennon (The Beatles) Post Beatles, John Lennon evolved into perhaps the most socially significant artist of the seventies, becoming almost a figurehead for the anti-war movement. So compelling was his message, he was actually subject to deportation efforts by President Nixon. 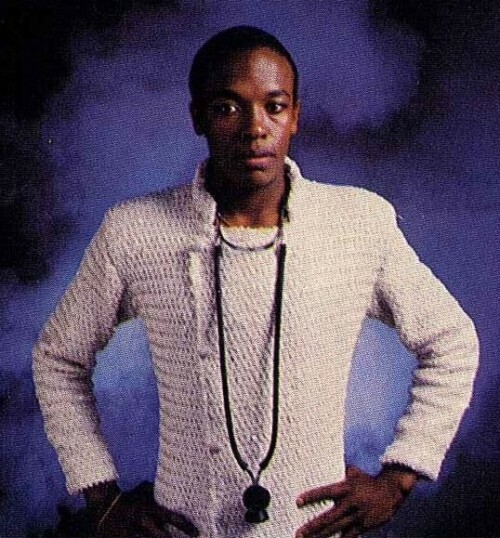 Though his life would be tragically be cut short just ten years after his departure from the band that made him a legend, his all too short solo career further cemented his status as a true revolutionary of his time. Marvin Gaye (The New Moonglows) A pioneering R&B and doo-wop group, The Moonglows would descend into turmoil by the late 1950’s as power struggles among lead singers Harvey Fuqua and Bobby Lester made any further collaboration all but an impossibility. The death-knell came when Fuqua discovered a nineteen-year-old talent named Marvin Gaye, prompting him to ditch his old bandmates and absorb Gaye’s little-known Marquees to form what he would dub The New Moonglows in 1959. Now awarded the platform he’d been long searching for, Gaye soon inked a deal Motown, the label that would ultimately turn him into the crown prince of soul. Diana Ross (The Supremes) Once named the female entertainer of the century by Billboard Magazine, Ross has won just about every award but a Pulitzer since she first entered the public eye in 1959. With a career eighteen #1 records to her name, she has lead the way in everything from classic doo-wop to disco to modern pop. 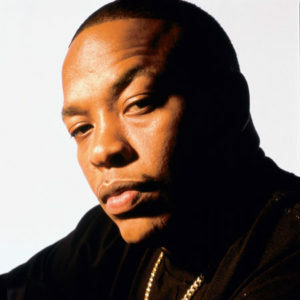 Dr. Dre (World Class Wreckin’ Crew, NWA) When you really stop and think about it, is there anyone who had has more impact upon the entire course of hip hop than Dr. Dre? Sure he’s no Pac behind the mic, but the guy has literally had his hand in almost ever major trend in the history of the genre. His illustrious career began as a member of the World Class Wreckin’ Crew, a mid-eighties electro-rap group who, though less well known than many of their contemporaries, were every bit a part of that old school vanguard that helped shape the infant genre (Does it get any more old school than this get-up?) With N.W.A., he was the backbone of the group that introduced gangsta rap to the masses, both shocking and terrifying middle America with their raw, unapologetic treatise on life in South Central L.A. With The Chronic, he refined and perfected the West Coast sound, while at the same time launching the prolific career of Snoop Dogg. Years later, he would do the same for Eminem and 50 Cent, updating his world class beat-making for a new generation of hip hop fans. Producing classic tracks for his proteges on albums such as The Slim Shady LP and Get Rich or Die Tryin’, he would soon pour those same efforts into his own record, releasing the phenomenal Chronic 2001 that now featured songs suited more for the club than the low-rider. His supposed magnum opus Detox continues to elude consummation after eleven painstaking years, but when it does, we can only assume that it will only further affirm the unrivaled legacy of this tremendous hip hop trendsetter. Justin Timberlake (N’Sync) When your initial group sells 28 million records, some might say you’ve hit your peak. When that group happens to be N’Sync, others might insist that there’s no where to go but up. Nowadays, its hard to deny the former teen idol his just dues, both as a legitimate music producer and SNL revelation. Van Morisson (Them) In truth, when compiling this list, I myself had no idea Van Morisson first broke out with a group, nor had I any idea who that group was. 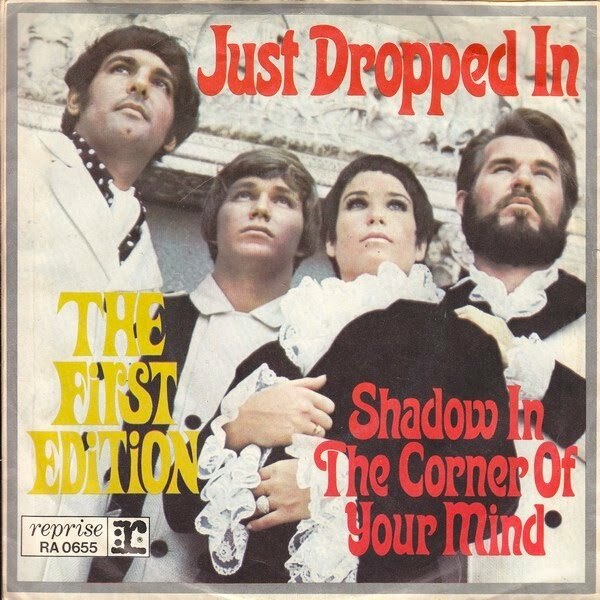 After an exhaustive search (ok, so I Wikipedia’d him), I determined that Them had indeed existed for two years in the mid-sixties, and even had a handful of charting singles (go figure). I can only imagine they likely pailed in comparison to classics like “Brown-Eyed Girl”, “Moondance”, and “Domino,” making Van among the artists on this list who put the farthest distance between his previous and subsequent solo career. George Michael (Wham!) 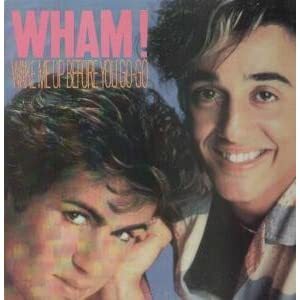 On second thought, let’s put George Michael right up there with Morisson for people whose solo status truly dwarfed that of their initial group, albeit the fact that Wham! is considerably more well know than those other guys (what was their name again?). 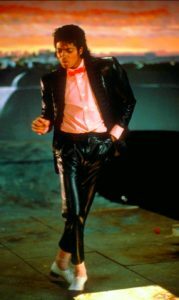 Seriously, who doesn’t know all the words to “Wake Me Up Before You Go-Go?” (Be honest) Michael dropped the duo after four years, and only went on to sell another 75 million records. Though he will perhaps always be remembered for that infamous bathroom incident, George Michael has been a true titan of the industry for over a generation. Peter Gabriel (Genesis) Back when MTV actually meant music television, Gabriel’s “Sledgehammer” practically played on repeat. It remains the most played video in the history of the station. Ozzy Osbourne (Black Sabbath) When you get fired from Black Sabbath for doing too much drugs, you know you’re doing one whole hell of a lot of drugs. Replaced by Ronnie James Dio in 1979, The Prince of Darkness didn’t miss a beat, venturing into even darker waters with hard rock standards like Blizzard of Ozz and Bark at the Moon. 40 years, 11 albums, a bat head, and 1 weirdly captivating reality show later, Ozzy continues to remain (somehow) alive and prospering. Jeff Beck (The Yardbirds) Kind of crazy to think that three of the top five or six guitarists of all time played for the same band, but that’s exactly how stacked the Yardbirds were. Of course, it was only a matter of time before that talent became to large for one band to contain. Jimmy Page would land himself a gig with Led Zeppelin, Clapton went off to play with John Mayall, and Jeff Beck would form his own supergroup of sorts, The Jeff Beck Group, which featured our #29 man Rod Stewart and current Stones’ bassist Ronnie Wood. Beck would release his first solo album in 1975 and an eleventh in 2010, all showcases of unadulterated guitar resplendency. Phil Collins (Flaming Youth, Genesis) Along with Michael Jackson and Paul McCartney, Collins is one of only three artists to have sold over 100 million albums both individually and as part of a group. Rod Stewart (The Jeff Beck Group, The Faces) When the Faces entered the Rock and Roll Hall of Fame this past April, Stewart joined Eric Clapton, Jeff Beck, George Harrison, Michael Jackson, John Lennon, Curtis Mayfield, Paul McCartney, Clyde McPhatter, Paul Simon, and Neil Young as the only artists to be inducted both individually and as a member of a group. Lou Reed (The Velvet Underground) Like the Beatles clan, its hard to really contend that Lou Reed in any way approached the legacy of The Velvet Underground. Still, for sheer musical brilliance, I can’t in good conscience leave Lou off this list. Reed released over twenty albums after his departure from the Underground, continuing to push the boundaries and confound critics (the guy effin’ released a double album of feedback!) well into the 21st century. Elliott Smith (Heatmiser) The tenth person on this list to die young (see: Jackson, Pac, Lennon, Cooke, Gaye, Joplin, Zappa, Tosh, and McPhatter), Smith went out in just about the most unfathomably horrific way possible- by stabbing himself through the heart. Still, his haunting, angst-laden melodies live on as testaments to the power of the human voice. Ted Nugent (The Amboy Dukes) While you might not agree with his politics, its hard to deny the stranglehold The Motor City Madman has had on rock audiences the past 35 years. With a righteous 30 million albums sold to date, Nugent continues to be a fixture of concert halls, NRA conventions, and Glenn Beck rallies everywhere. Lauren Hill (The Fugees) Ok, so she’s really only released a single studio album before essentially going into hiding, but when that album ends up being a modern classic of its genre, you have to get at least a nod with the 43rd spot in our countdown. John Fogerty (Creedance Clearwater Revival) After a less than amicable break-up with CCR in 1972, Fogerty went on to become the only artist to ever be accused of plagiarizing himself. Busta Rhymes (Leaders of the New School) In one of the more awkward music moments to be captured on film, in 1993 the world got to witness a hip hop group breaking up in real time, as tensions over Busta’s monopolization of the spotlight came to a head right in middle of an episode of Yo! MTV Raps.